$3 off any order. Limited time offer. $10 Off $200+. Limited time offer. $5 Off $80+. Limited time offer. 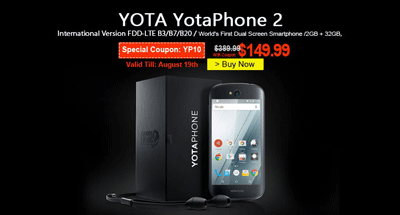 50% Off YOTA YotaPhone 2. Limited time offer. 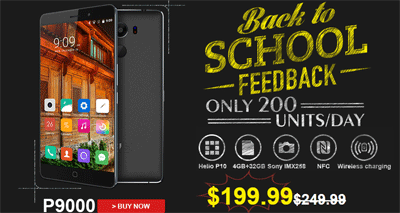 Back to School: up to 50% off Elephone. Limited time offer. $20 Off $300+. Limited time offer. $10 Off $750+. Limited time offer. $9 Off $650+. Limited time offer. $8 Off $550+. Limited time offer. $7 Off $450+. Limited time offer. $6 Off $350+. Limited time offer. AntElife is your gateway to the largest selection of consumer electronics from China. It carries mobile phones, tablet PCs, mobile accessories, cameras, camcorders, flash drives, and gadgets. It is definitely the place you want to be on the internet if you want quality electronics for a fraction of the cost. You can take advantage of its wholesale prices without worrying about a minimum order.